This topic describes the procedure for restoring your critical backend Pivotal Cloud Foundry (PCF) components with BOSH Backup and Restore (BBR), a command-line tool for backing up and restoring BOSH deployments. To perform the procedures in this topic, you must have backed up PCF by following the steps in the Backing Up Pivotal Cloud Foundry with BBR topic. To view the BBR release notes, see BOSH Backup and Restore Release Notes. 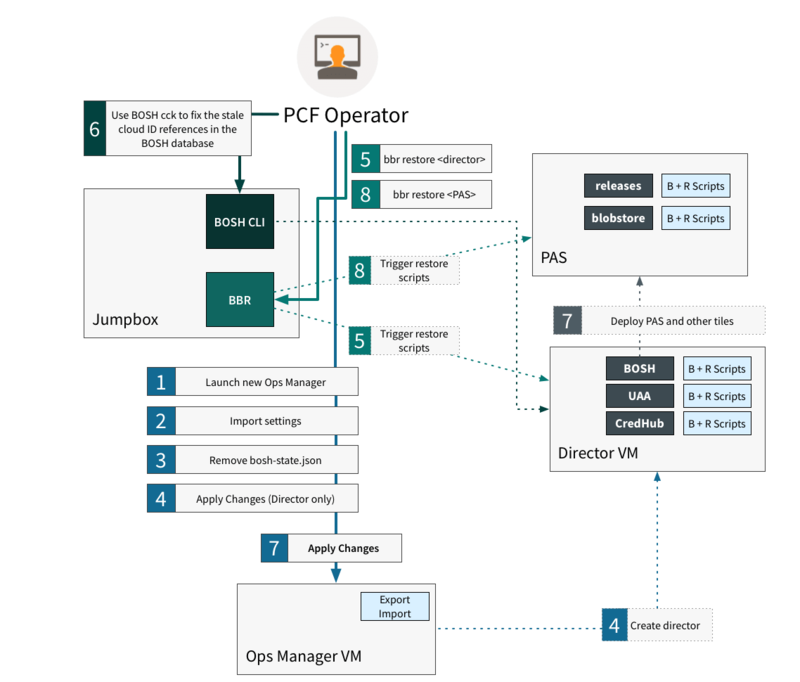 The procedures described in this topic prepare your environment for PCF, deploy Ops Manager, import your installation settings, and use BBR to restore your PCF components. WARNING: Restoring PCF with BBR is a destructive operation. If the restore fails, the new environment may be left in an unusable state and require reprovisioning. Only perform the procedures in this topic for the purpose of disaster recovery, such as recreating PCF after a storage-area network (SAN) corruption. WARNING: When validating your backup, the VMs and disks from the backed-up BOSH Director should not visible to the new BOSH Director. As a result, Pivotal recommends that you deploy the new BOSH Director to a different IaaS network and account than the VMs and disks of the backed up BOSH Director. WARNING: For PCF v2.0, BBR only supports backup and restore of environments with zero or one CredHub instances. Note: If the BOSH Director you are restoring had any deployments that were deployed manually rather than through an Ops Manager tile, you must restore them manually at the end of the process. For more information, see (Optional) Step 14: Restore Non-Tile Deployments. This section describes the restrictions for a backup artifact to be restorable to another environment. This section is for guidance only, and Pivotal highly recommends that operators validate their backups by using the backup artifacts in a restore. CIDR ranges: BBR requires the IP address ranges to be the same in the restore environment as in the backup environment. Number of instance groups and jobs: For instance groups and jobs that have backup and restore scripts, there must be the same number of instances. Limited validation: BBR puts the backed up data into the corresponding instance groups and jobs in the restored environment, but can’t validate the restore beyond that. For example, if the MySQL encryption key is different in the restore environment, the BBR restore might succeed although the restored MySQL database is unusable. PCF version: BBR can restore to the same version of PCF that was backed up. BBR does not support restoring to other major, minor, or patch releases. Note: A change in VM size or underlying hardware should not affect BBR’s ability to restore data, as long as there is adequate storage space to restore the data. Click the diagram below to see the full-size image. The diagram above shows the flow of the PCF restore process in a series of steps performed by the PCF operator. The following steps will be covered in more detail throughout this topic. Launch new Ops Manager: Perform the procedures for your IaaS to deploy Ops Manager. See part one of the Deploy Ops Manager and Import Installation Settings step below for more information. Import settings: You can import settings either with the Ops Manager UI or API. See part two of the Deploy Ops Manager and Import Installation Settings step below for more information. Remove bosh-state.json: SSH into your Ops Manager VM and delete the bosh-state.json file. See the Remove BOSH State File step below for more information. 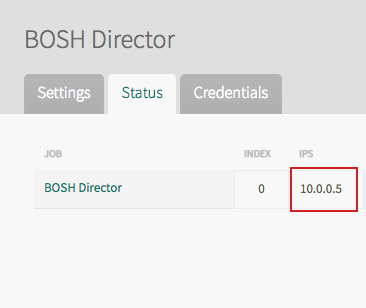 Apply Changes (Director only): Use the Ops Manager API to only deploy the BOSH Director. See the Deploy the BOSH Director step below for more information. bbr restore <director>: Run the BBR restore command from your jumpbox to restore the BOSH Director. See the Restore the BOSH Director step below for more information. Use BOSH cck to fix the stale cloud ID references in the BOSH database: For each deployment in the BOSH Director, you will need to run a bosh cloud-check command. See the Remove Stale Cloud IDs for All Deployments step for more information. Apply Changes: On the Ops Manager Installation Dashboard, click Review Pending Changes, review your changes, and then click Apply Changes. For more information, see Reviewing Pending Product Changes. bbr restore <PAS>: Run the BBR restore command from your jumpbox to restore PAS. See the Restore PAS step below for more information. This section provides the steps you need to perform before restoring your PCF backup with BBR. In an event of a disaster, you may lose not only your VMs and disks, but your IaaS resources as well, such as networks and load balancers. If you need to recreate your IaaS resources, prepare your environment for PCF by following the instructions specific to your IaaS in Installing Pivotal Cloud Foundry. Note: The instructions for installing PCF on Amazon Web Services (AWS) and OpenStack combine the procedures for preparing your environment and deploying Ops Manager into a single topic. The instructions for the other supported IaaSes split these procedures into two separate topics. If you recreate your IaaS resources, you must also add those resources to Ops Manager by performing the procedures in the Step 3: (Optional) Configure Ops Manager for New Resources section. If you configured AWS manually, see Step 12: Launch an Ops Manager API through Step 19: Create a MySQL Database Using AWS RDS of Installing PCF on AWS Manually. If you used Terraform to install PCF on AWS, see Installing PCF on AWS Using Terraform. GCP: See Deploying Ops Manager on GCP Manually. OpenStack: See Step 4: Create Ops Manager Image through Step 9: Create a DNS Entry in Deploying Ops Manager to OpenStack. vSphere: See Deploying Ops Manager on vSphere. Access your new Ops Manager by navigating to YOUR-OPS-MAN-FQDN in a browser. On the Welcome to Ops Manager page, click Import Existing Installation. Enter the Decryption Passphrase in use when you exported the installation settings from Ops Manager. 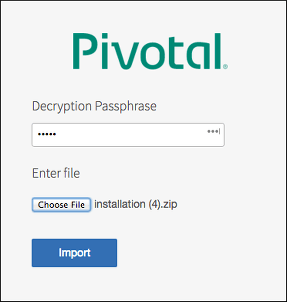 Click Choose File and browse to the installation zip file that you exported in the Step 7: Export Installation Settings section of the Backing Up Pivotal Cloud Foundry with BBR topic. Note: Some browsers do not provide feedback on the status of the import process, and may appear to hang. The import process takes at least 10 minutes, and takes longer the more tiles that were present on the backed-up Ops Manager. UAA-ACCESS-TOKEN is the UAA access token. For more information about how to retrieve this token, see Using the Ops Manager API. DECRYPTION-PASSPHRASE is the decryption passphrase in use when you exported the installation settings from Ops Manager. WARNING: Do not click Apply Changes in Ops Manager until the instruction in Step 11: Redeploy PAS. Enable Ops Manager advanced mode. For more information, see How to Enable Advanced Mode in the Ops Manager in the Pivotal Knowledge Base. Note: In advanced mode Ops Manager will allow you to make changes that are normally disabled. You may see warning messages when you save changes. 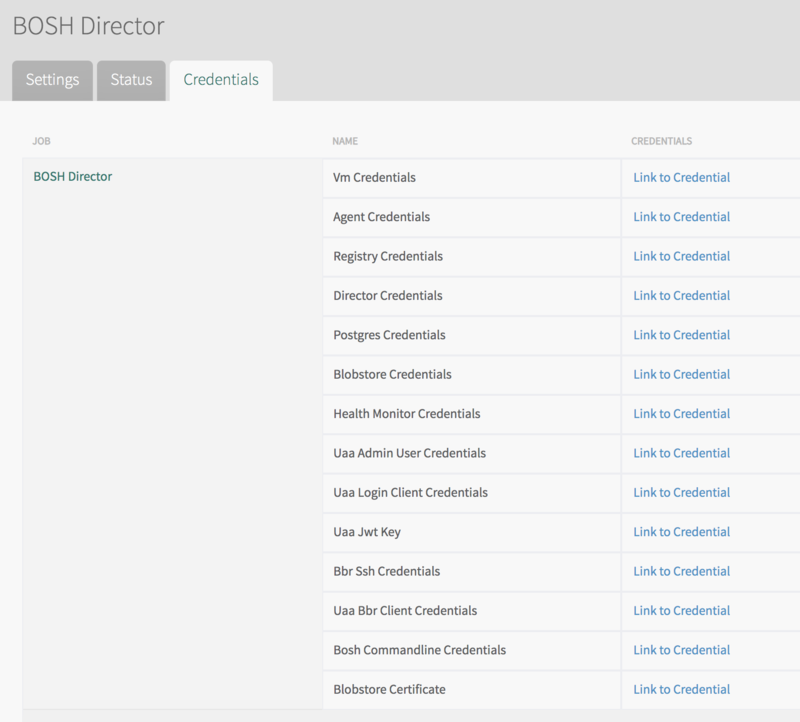 Navigate to the Ops Manager Installation Dashboard and click the BOSH Director tile. Project ID to reflect the GCP project ID. Default Deployment Tag to reflect the environment name. AuthJSON to reflect the service account. Click Create Networks and update the network names to reflect the network names for the new environment. If your BOSH Director had an external hostname, you should change it in Director Config > Director Hostname to ensure it does not conflict with the hostname of the backed up Director. 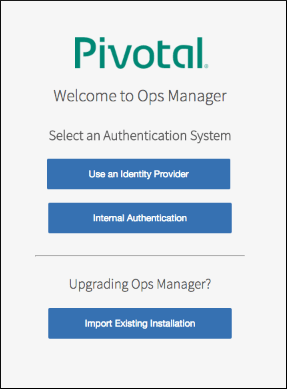 Return to the Ops Manager Installation Dashboard and click the Pivotal Application Service (PAS) tile. Click Resource Config. If necessary for your IaaS, enter the name of your new load balancers in the Load Balancers column. If necessary, click Networking and update the load balancer SSL certificate and private key under Certificates and Private Keys for HAProxy and Router. If your environment has a new DNS address, update the old environment DNS entries to point to the new load balancer addresses. For more information, see the Step 4: Configure Networking section of the Using Your Own Load Balancer topic and follow the link to the instructions for your IaaS. If your PAS uses an external blobstore, ensure that the PAS tile is configured to use a different blobstore, otherwise it will attempt to connect to the blobstore that the backed up PAS is using. Ensure your System Domain and Apps Domain under PAS Domains are updated to refer to the new environment’s domains. Ensure that there are no outstanding warning messages in the BOSH Director tile, then disable Ops Manager advanced mode. For more information, see How to Enable Advanced Mode in the Ops Manager in the Pivotal Knowledge Base. SSH into your Ops Manager VM. For more information, see the SSH into Ops Manager section of the Advanced Troubleshooting with the BOSH CLI topic. Navigate to YOUR-OPS-MAN-FQDN in a browser and log into Ops Manager. Use the Ops Manager API or the checkbox on the Review Pending Changes page to deploy the BOSH Director by itself. In the Step 9: Back Up Your PAS Deployment section of the Backing Up Pivotal Cloud Foundry with BBR topic, in the After Taking the Backups section you moved the TAR and metadata files of the backup artifacts off your jumpbox to your preferred storage space. Now you must transfer those files back to your jumpbox. This section provides the steps you need to perform to restore your PCF backup with BBR. The BBR BOSH Director restore command can take at least 15 minutes to complete. Pivotal recommends that you run it independently of the SSH session, so that the process can continue running even if your connection to the jumpbox fails. The command above uses nohup but you could also run the command in a screen or tmux session. Ensure the BOSH Director backup artifact is in the folder you from which you will run BBR. PATH-TO-DIRECTOR-BACKUP is the path to the Director backup you want to restore. PRIVATE-KEYis the path to the private key file you created above. HOSTis the address of the BOSH Director. If the BOSH Director is not public, it is the BOSH-DIRECTOR-IP retrieved in Step 7: Retrieve BOSH Director Address and Credentials. Use the optional --debug flag if you want to enable debug logs. See the Logging section of the Backing Up Pivotal Cloud Foundry with BBR topic for more information. If the command succeeds, continue to Step 9: Identify Your Deployment. The source deployment is compatible with the target deployment. That the jumpbox can reach the BOSH Director. In the above example, the name of the BOSH deployment that contains PCF is cf-example. PATH-TO-BOSH-SERVER-CERTIFICATE is the path to the Certificate Authority (CA) certificate for the BOSH Director. For more information, see Ensure BOSH Director Certificate Availability. This reconciles the BOSH Director’s internal state with the state in the IaaS. You can use the list of deployments returned in Step 9: Identify Your Deployment. If the bosh cloud-check command does not successfully delete disk references and you see a message similar to the following, perform the additional procedures in the Remove Unused Disks section below. Record the PAS stemcell release number from the Staged column. For more information about stemcells in Ops Manager, see Importing and Managing Stemcells. If you have any other tiles installed, ensure you upload their stemcells if they are different from the PAS stemcell. Upload stemcells to the BOSH Director with bosh upload-stemcell --fix PATH-TO-STEMCELL, as in the command above. From the Ops Manager Installation Dashboard, navigate to PAS Resource Config. Ensure the number of instances for MySQL Server is set to 1. WARNING: Restore will fail if there is not exactly one MySQL Server instance deployed. Ensure that all errands needed by your system are set to run. Click Apply Changes to redeploy. WARNING: BBR does not back up or restore any service data. For this step, restore data to pre-provisioned service tiles. The procedures for restoring service data vary. Consult the documentation for your service tile for more information. For example, if you are using Redis for PCF v1.14, see Using BOSH Backup and Restore (BBR). The BBR PAS restore command can take at least 15 minutes to complete. Refer to the table in Enabling External Blobstore Backups. If external blobstore support is not included in the version of Ops Manager and PAS you are using, restore the external blobstore with your IaaS-specific tools before restoring PAS. BOSH-DIRECTOR-IP is the BOSH Director IP retrieved in Step 7: Retrieve BOSH Director Address and Credentials. BOSH-CLIENT, BOSH-PASSWORD are the BOSH UAA credentials. To retrieve these credentials, navigate to the Ops Manager Installation Dashboard, click BOSH Director, navigate to the Credentials tab, and click Uaa Bbr Client Credentials. You can also retrieve the credentials using the Ops Manager API with a GET request to the following endpoint: /api/v0/deployed/director/credentials/uaa_bbr_client_credentials. For more information, see Using the Ops Manager API. DEPLOYMENT-NAME is the deployment name retrieved in Step 9: Identify Your Deployment. PATH-TO-BOSH-SERVER-CERTIFICATE is the path to the Certificate Authority (CA) certificate for the BOSH Director, if the certificate is not verifiable by the local machine’s certificate chain. PATH-TO-PAS-BACKUP is the path to the PAS backup you want to restore. If desired, scale the MySQL Server job back up to its previous number of instances by navigating to the Resource Config section of the PAS tile. After scaling the job, return to the Ops Manager Installation Dashboard. Click Apply Changes to deploy. Navigate to an on-demand service tile in the Installation Dashboard. Ensure the Upgrade All Service Instances errand is On. Repeat for all on-demand service tiles. Click Review Pending Changes, review your changes, and then click Apply Changes. For more information, see Reviewing Pending Product Changes. This will include running the Upgrade All Service Instances errand for the on-demand service, which will redeploy the on-demand service instances. (Optional) Restore service data to every on-demand service instance. Any app on PAS bound to an on-demand service instance may need to be restarted to start consuming the restored on-demand service instances. If you have any deployments that were deployed manually with the BOSH Director rather than through an Ops Manager tile, perform the following steps to restore the VMs. The process state for all VMs should show as running. This section provides the steps you need to perform after restoring your PCF backup with BBR. If bosh cloud-check does not clean up all disk references, you must manually delete the disks from a previous deployment that will prevent recreated deployments from working. WARNING: This is a very destructive operation. Target the redeployed BOSH Director using the BOSH CLI by performing the procedures in Step 7: Retrieve BOSH Director Address and Credentials. Once the disks are deleted, continue with Step 10: Remove Stale Cloud IDs for All Deployments.